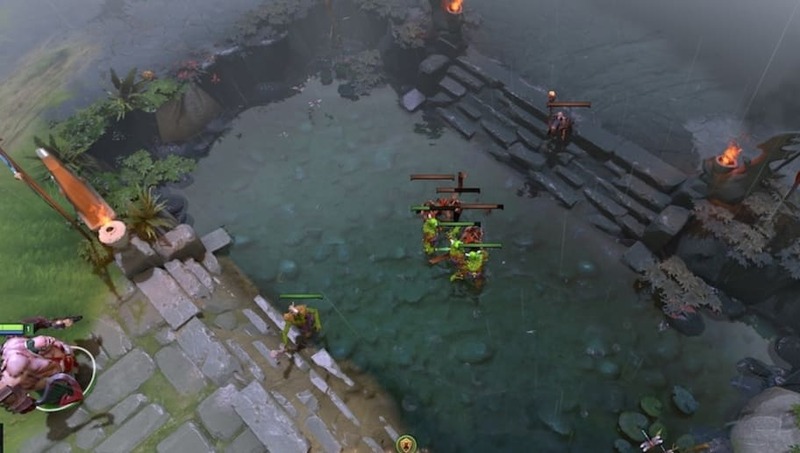 ​The middle lane is like the gladiator pit of Dota 2. It's the one place where it's just two players squaring off, competing for last hits, denies and runes. Yet the burden of a mid laner is a heavy one, as because of its isolation the mid lane can be one of the most crucial aspects to winning a match. And as any mid player knows, losing mid early on can quickly snowball to a fast loss. So if this concept of "winning mid" is so pertinent to winning the game, it's important to know how to win the lane, and what winning the lane even means. Often times it can be hard to tell which team is winning which lane, but in mid it's actually pretty easy. For the first eight minutes, it's essentially whichever hero has the higher level. This might seem over simplified, but the level is an indicator of deaths, kills and most importantly denies and last hits. This will be a quick tutorial on how to maximize: last hits, denies and kills, and how to minimize: deaths, enemy denies and effectively experience loss. Last hitting in the mid lane is a bit different and a bit harder than last hitting in top or bottom. Here, denies are key. This explains how and why to deny, but denying is much more important in mid for a few reasons. Level advantages quickly spiral out of control, as one level can be the difference between getting one deny and getting four, and that difference can lead to even more of an advantage or disadvantage. Because of this, try to prioritize denies just as much as last hits. This is why a lot of pro players would utilize the glyph on the first creep wave (before it was nerfed) as simply hitting level two before your opponent can decide games. So if the enemy has more damage or is simply a better last hitter, try to time it so an allied creep and enemy creep are going to die at the same time, so you can at least get one of them. If you are last hitting better, do the opposite by trying to stagger the creep deaths so you get both. Map awareness is always important in Dota 2, but even more so in the mid lane. Mid players are frequently going to be the target of ganks from both the side lanes. Thankfully however, these are usually easily avoided with proper map awareness. A good trick is to memorize the colors of possible threats (gankers like Earthshaker, Riki, etc. ), and when those are off the map go back and hide. Play it safe, but not too safe, as hiding from a non-existent gank just means missed last hits and experience. After hitting level six, it's usually a good time to start roaming around for potential kills. Pick the most vulnerable heroes, then wait till they are in the most vulnerable position. Runes are extremely valuable for any mid looking to gank, as often times a haste or double damage rune means free kills. Wards covering at least one rune spot are invaluable for a mid player, so either ask supports or take the responsibility. Running all the way to a non-existent rune is a waste of time, gold and experience.